I am digesting my food for the first time in years! 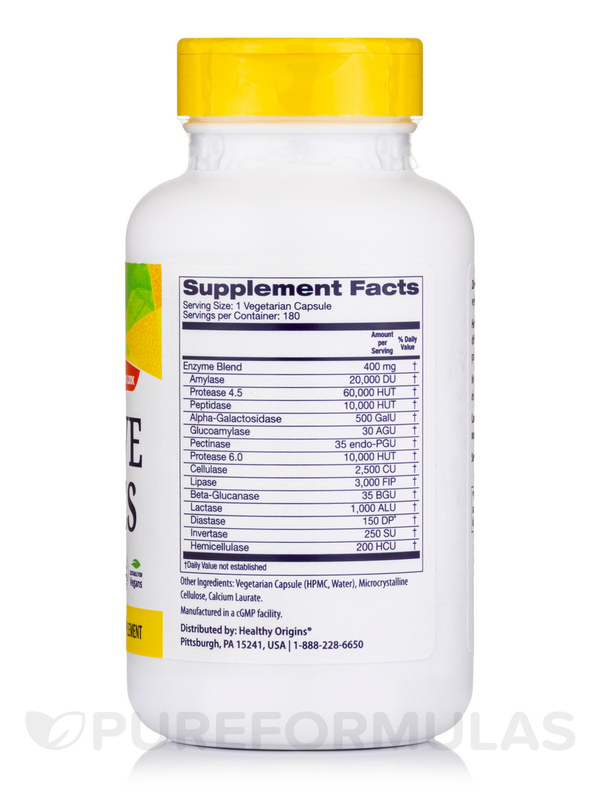 Digestive Enzymes Broad Spectrum by Healthy Origins works well without breaking the bank. I love these! 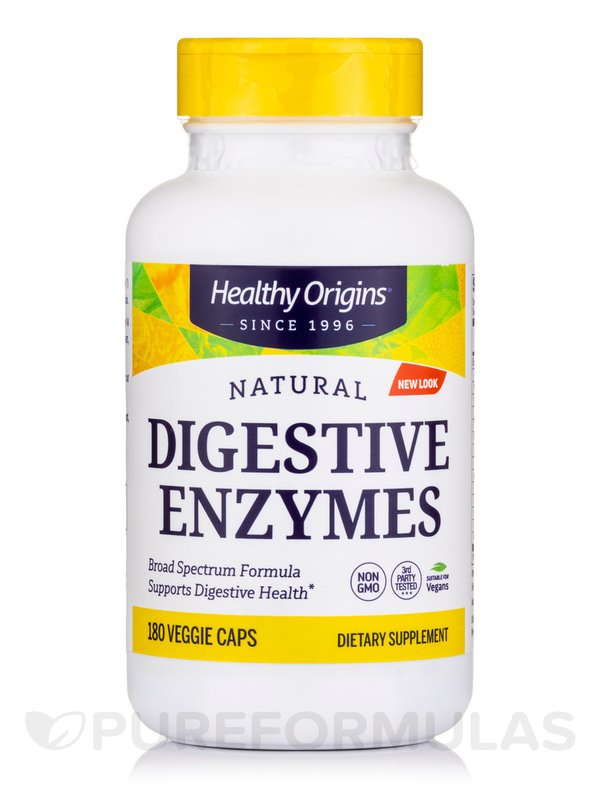 Healthy Origins® Broad Spectrum Digestive Enzymes include 14 different enzymes to aid in the digestion and assimilation of sugars‚ grains‚ fats‚ carbohydrates‚ and proteins. This product is developed in partnership with National Enzyme Company‚ a worldwide leader in enzyme research and development. 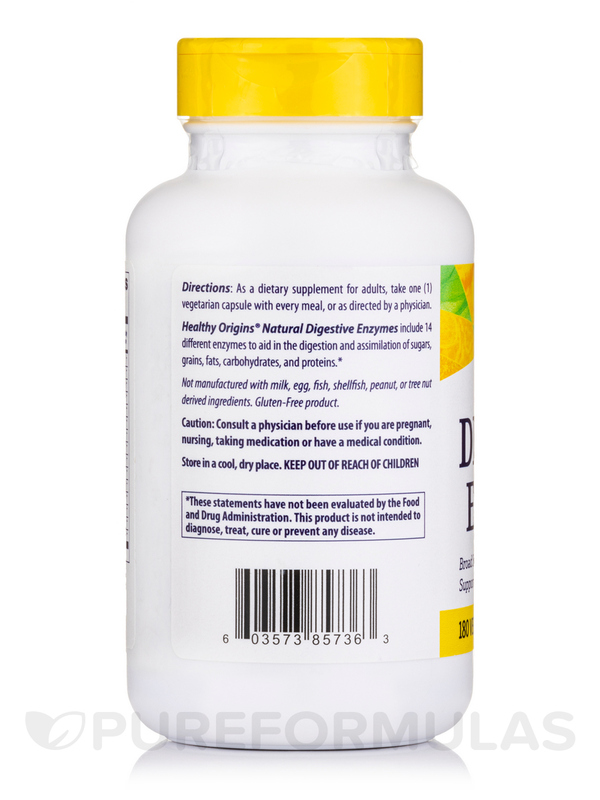 Other Ingredients: Vegetable capsule (vegetable cellulose and water)‚ microcrystalline cellulose. No sugar‚ salt‚ yeast‚ wheat‚ gluten‚ soy‚ fish‚ shellfish‚ nuts‚ tree nuts‚ egg or dairy. 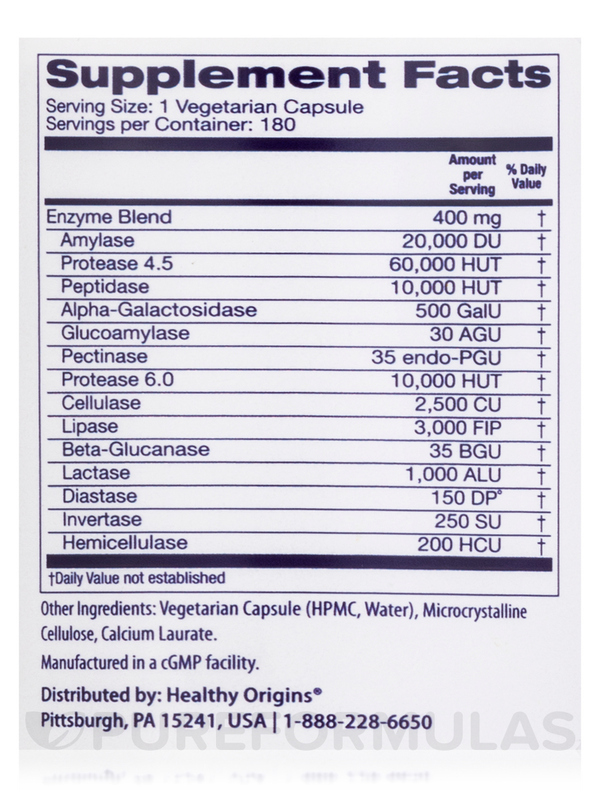 As a dietary supplement for adults; take one (1) vegetarian capsule with every meal‚ or as directed by a physician. Store in a cool‚ dry location. If you are taking medication or have a medical condition‚ please contact a physician before using this product. 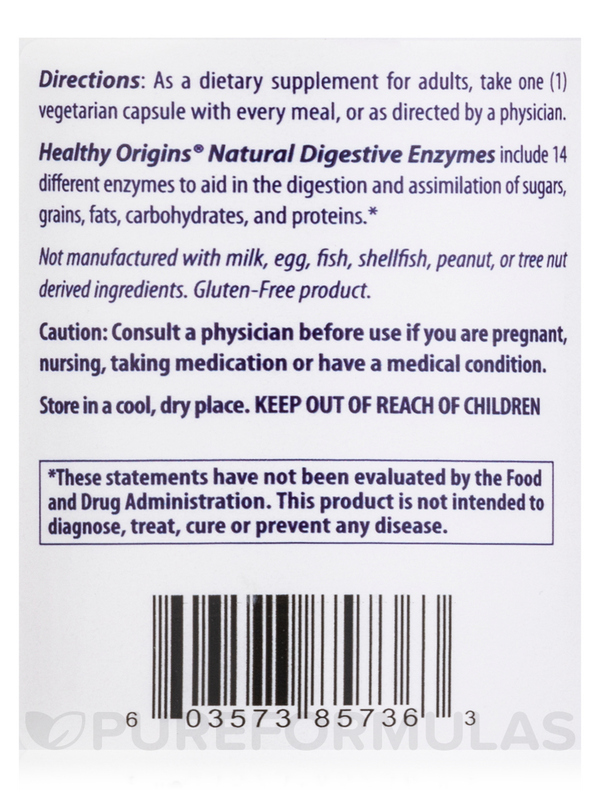 Digestive Enzymes Broad Spectrum by Healthy Origins is working for me. I was taking another brand and it quit. That you don't have to take it way before the meal.